Come with us as we pay tribute to the most exciting musical decade of them all! The decade that brought us TV dinners, hula hoops, quiz show scandals, talk show legends, and the birth of Rock and Roll. 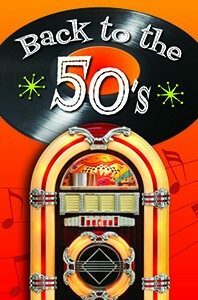 Continuing the tradition of the Fireside’s wildly popular live band shows, BACK TO THE FIFTIES will thrill and delight audiences of all ages. Our Fireside band featuring Steve Watts will bring you the music and the fun from such artists as Jerry Lee Lewis, Buddy Holly, Little Richard, Patsy Cline, Nat King Cole, Ricky Nelson, Johnny Mathis, The Everly Brothers, and much, much more! Work together with your little one to make a batch of moon sand at the Watertown Public Library! A moon sand playtime will follow. Registration required. Recommended ages 3-6. 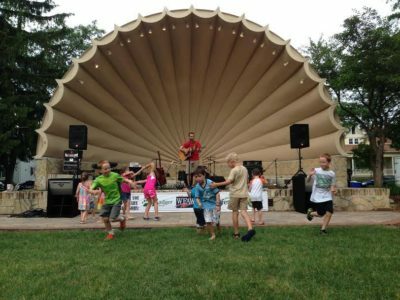 Sit back and enjoy the music by the Fort Atkinson community band in the Barrie Park bandshell. 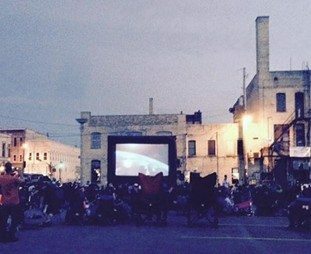 Watch a movie at the L.D. Fargo Public Library and enjoy some fresh popcorn! Join us at the Watertown Senior Center (Terrace Room) for forty-five minutes of mind-blowing magic and comedy. Fun for the whole family! You may be picked to float in mid-air! No registration required. For all ages. Join us at the Jefferson Public Library for a presentation of mind-blowing magic and comedy. Fun for the whole family! You may be picked to float in mid-air! Bring your own projects to the L.D. Fargo Public Library to work on while socializing with other teens. See what they are working on and get ideas for your next project. Don’t have a project to work on? We will have a craft or two for you to do. During this program we will also be creating Random Acts of Kindness projects to hand out in our community. Join us, weather permitting, at the Watertown Public Library for an afternoon in the sun with some outdoor art on the lawn! We’ll be making one-of-a-kind creations using spray bottles. It’s going to be messy, so dress appropriately! Join us at the Watertown Public Library for a special tasty summer science project – homemade vanilla ice cream! Dairy products will be used. Participants are encouraged to bring winter gloves to wear while making ice cream. Registration required. Ages 7-12. Enjoy a summer evening in Commons Park. Come early and enjoy the Lake Mills Artisan/Farmers’ Market before the band begins at 7pm. Rain site: Lake Mills Community Center. June 22-25, 2017 – Town & Country Days! Downtown Commons Park filled with rides and games for all ages! Starting on Thursday night you can enjoy a Legendary Slider while listening to a local band in the Sons of American Legion Beer Tent. Check out www.lakemills.org for band listings. 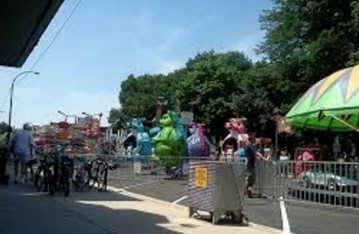 Saturday, enjoy the annual Town & Country Days Parade in the morning, and bands, food, kid’s rides and more carry through all the way from Thursday to Sunday. Join us at the Powers Memorial Library for a presentation of mind-blowing magic and comedy. Fun for the whole family! You may be picked to float in mid-air! Teens will be able to challenge other teens with games of many sorts at the L.D. Fargo Public Library. We will have board games, dice and card games, and video games. Feel free to bring in one of your board games. 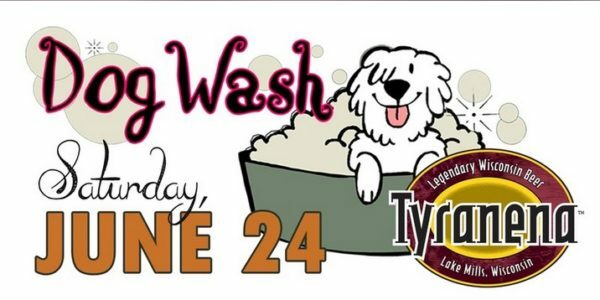 On Saturday, June 24, Tyranena Brewing Company of Lake Mills will sponsor its annual charity dog wash to benefit the Humane Society of Jefferson County. So we’re calling all dirty dogs, filthy fidos or tarnished tail-waggers to help us raise some bones for a great cause! When you purchase your best friend a bath for just $15, you get suds too… in the form of your very own free pint of Tyranena beer. (Tyranena’s own root beer soda and other non-alcoholic options available as well.) Doyle’s Dogs will also be serving brats and hotdogs for purchase. In addition to washes, nail trimming will be available courtesy of the Lake Mills Veterinary Clinic. 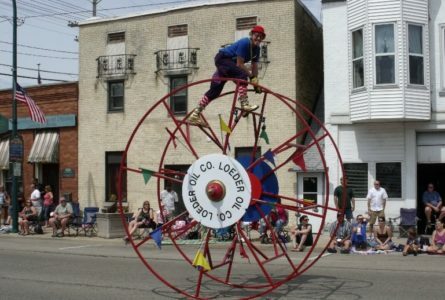 The festivities begin at 12 Noon and end at 3 p.m. All activities will take place at Tyranena’s facility located at 1025 Owen Street in Lake Mills. All proceeds from this event go to aiding the animals at the Humane Society of Jefferson County. You can purchase your wash and/or nail trimming online using your credit card; washes & trims purchased at the door are cash or check only! Join the Irvin L. Young Memorial Library for an afternoon of mind-blowing magic and comedy! This show is fun for the whole family. You may even be selected to float in mid-air! All ages are welcome and no registration is required. The Cambridge Arts Council presents Summer Concert Series 2017 at Veteran’s Park Downtown Cambridge, Friday evenings. Concerts are free. Bring a picnic and make a night of it! Family fun on the Rock River in Watertown! Watertown Rotary presents a pig roast, beer tent, duck and goose races, and live music! The family friendly event will raise funds for local scholarships. Stay for the evening as Watertown Main Street presents balloon making with magician Jim Mitchell followed by the Dreamworks movie, Trolls. Enjoy the movie on your favorite blanket or lawn chair! Refreshments will be available for purchase. Events take place in the N First Street parking lot, Downtown Watertown. Our ride is one of two major fundraisers for the Watertown Area Cares Clinic. The clinic provides healthcare for the uninsured in Jefferson & Dodge Counties. 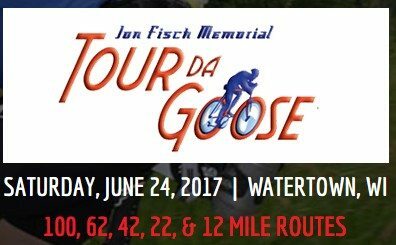 Ride offers supported distances of 100, 62, 42, 22, and 12 miles through the picturesque countryside south of Watertown, with all distances beginning and ending at Riverside Park. 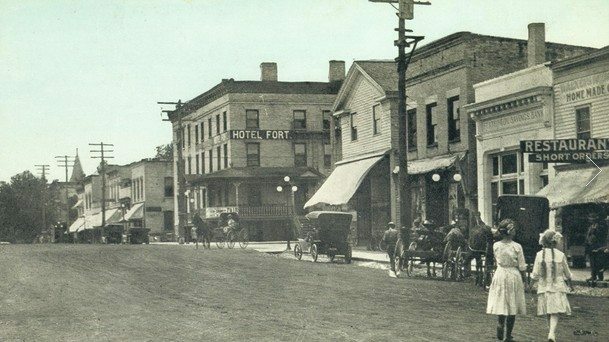 Join the Hoard Historical Museum as they host historic walking tours of downtown Fort Atkinson in conjunction with the downtown Saturday Farmer’s Markets. This walking tour will highlight the structures and people who helped build Fort Atkinson. Walking tours will explore the buildings and area around the downtown section of Fort Atkinson. All of the walking tours will begin and end at the Saturday Farmer’s Market in Fort Atkinson, and last 30-40 minutes. Tours begin at 8am and run on the hour until the end of the market at noon. Participants should be prepared to walk approximately 1 mile over paved surfaces. As an added bonus, walkers can get their walking tour card stamped and to receive $2 off a purchase from the Fort Farmer’s Market, valid on the day of the tour. Come to a walking tour to find out more! New Parade Route from 2016 will be the same one we will use in 2017. Starts on East Lake Street and CP Ave heading downtown with the Parade route ending at Pine Street.